As you all probably know, I LOVE picture books. I love reading them and sharing them with my students. 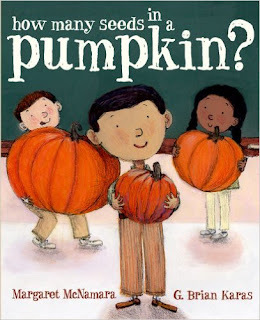 I think October has some of the best seasonal/holiday picture books around. 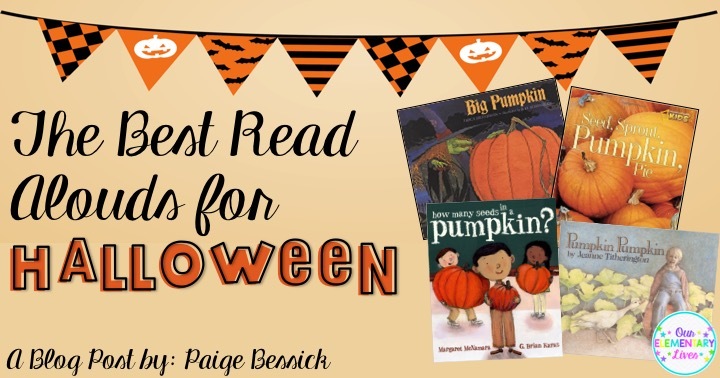 I'm going to share with you some of my favorite HALLOWEEN books and how I use them in the classroom. 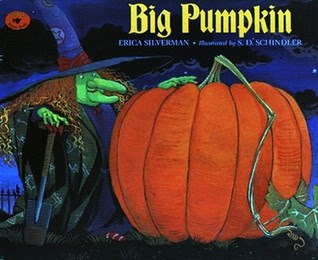 My very favorite Halloween book is Big Pumpkin by Erica Silverman. This book is a play on the Russian tale The Enormous Turnip. It's a simple book about a witch who tries to get a pumpkin out of the garden but it is too big so she calls on her friends to help her. The kids love it and it's great for predicting who will help next. I use this book as an Interactive Read Aloud and then we act it out after we have read it. Click on the image below, or click >>HERE<< to be taken to this product! 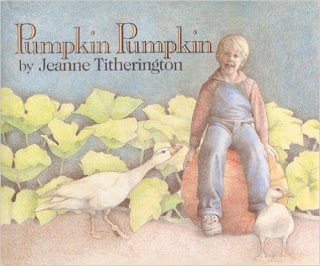 Another favorite of mine, known for its simplicity, is Pumpkin Pumpkin by Jeanne Titherington. I use this book for shared reading. Around this time in first grade, it's a great book to share and read together. It goes through the entire pumpkin life cycle. 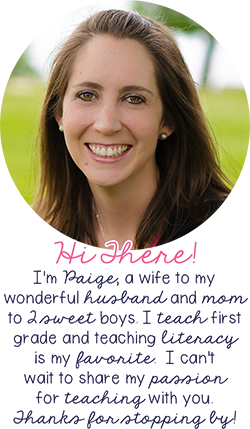 Simple and easy to understand-perfect for those kinders or firsties. 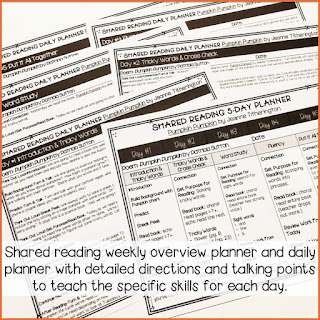 Check out this shared reading resource. Click >>HERE<< or on the image below. 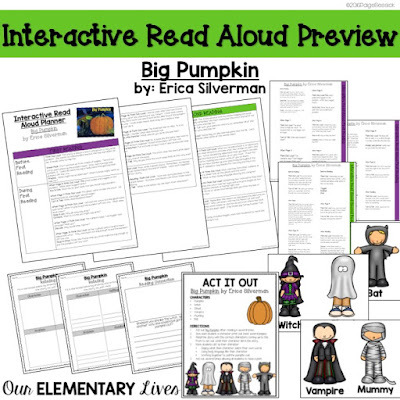 This resource has EVERYTHING you need to complete this shared reading. 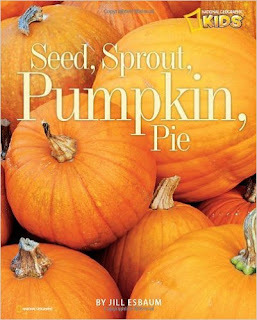 One of my favorite nonfiction Halloween books is Seed, Sprout, Pumpkin, Pie by Jill Esbaum. 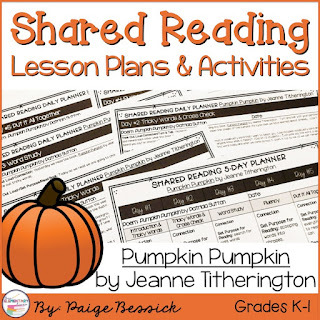 I like this nonfiction book because it gives great information about the pumpkin life cycle, other facts about pumpkins and other uses for pumpkin. Check out page 9, the kids LOVE it! Click on the image below, or click HERE to be taken to this product! My last favorite Halloween book is another nonfiction book. 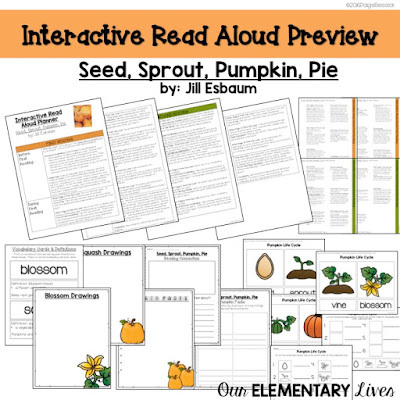 This time, though, it follows a boy as him and his classmates determine which pumpkin has the most seeds. Does the biggest pumpkin have the most seeds? You will have to read it to find out. 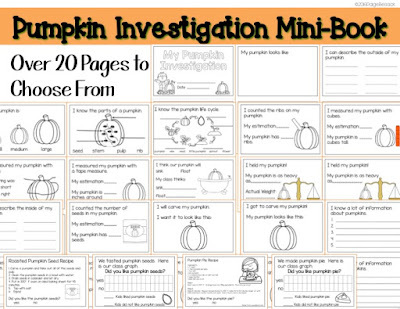 I like to use this book to go along with my Pumpkin Investigation. Click on the image below or click >>HERE<< to see this product in my store. 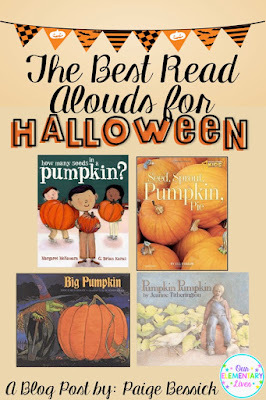 So there you have it, my top 4 Halloween Read Alouds. I hope you have found a new book to try or some activities you may like. Click this image to pin it so you can refer back to this post.